This article reviews the design of various optical logic gates. As we know, speed in electrical circuits is a matter of concern in high-speed communication. To avoid such limitations photonic components can be used instead of electrical components. The switching characteristic of optical communication is used to construct logical device using electro-optic effect in a Mach–Zehnder interferometer (MZI). The interferometer has shown great way to transport signal from one port to other. 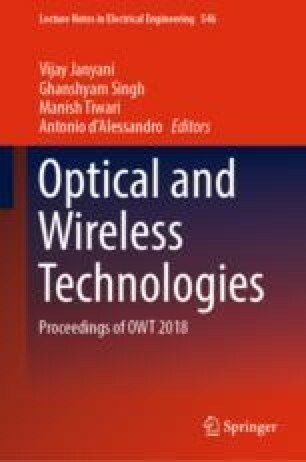 Hence, it is now possible to design various logical structures in digital devices using the electro-optic (EO) and interferometer as a basic constructing unit. This paper reviews various methods to design logic gate or logic operations. The design of gate has been demonstrated using finite-difference time-domain approach.